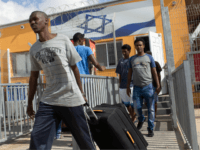 TEL AVIV – Israel will postpone deporting illegal African migrants until after Passover a high court demand for a policy brief on the matter. TEL AVIV – Prime Minister Benjamin Netanyahu on Monday said Israel’s 120 mile fence along the Egyptian border is preventing a “flood” of illegal African migrants from coming into the country, which is “worse” than terrorists in the Sinai peninsula. 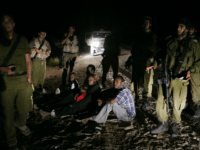 TEL AVIV – The majority of Israelis support their government’s campaign to deport illegal African migrants to an unnamed third country, a new poll released Wednesday found. 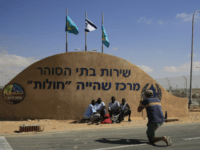 TEL AVIV – Israel is in talks with the United Nations High Commission on Refugees (UNHCR) to relocate a percentage of African migrants to third countries deemed “safe” by the UN, with some of them to remain in Israel permanently. TEL AVIV – Israel on Sunday began issuing thousands of deportation notices to single Eritrean and Sudanese men, telling them they had 60 days to leave the country to an unnamed African country with a“stable government” otherwise they faced forced removal or imprisonment. 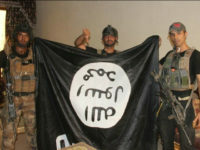 TEL AVIV – Two Israeli Jews have converted to Islam and joined the Islamic State in Syria, the Shin Bet security agency reported. 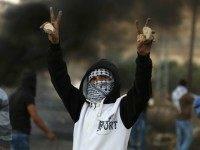 TEL AVIV – For the first time, an Israeli court on Sunday revoked the citizenship of an Arab Israeli terrorist convicted of a 2015 stabbing and car-ramming attack that seriously wounded four people. 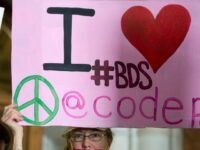 TEL AVIV – Legislation blocking anti-Israel boycott activists from entering the country passed at the Knesset with 46-28 in the final reading on Monday. 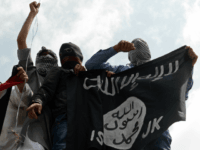 TEL AVIV – A Jewish woman from Kurdistan has fled to Israel after her Muslim husband threatened to sell her to the Islamic State.